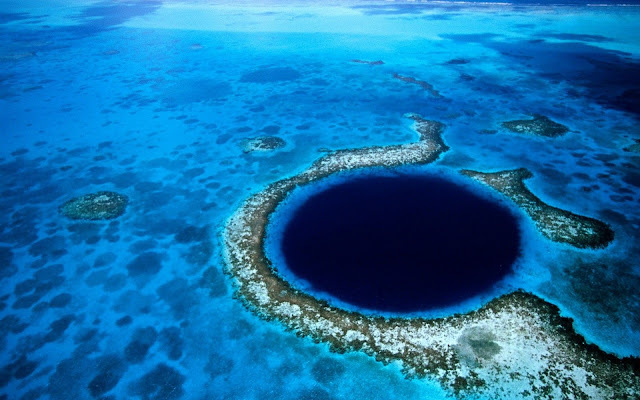 In Belize, a small country has a natural wonder of giant sinkhole named “The Great Blue”. Off the coast of Belize, it lies close to center of lighthouse Reef, 70 KM from the Belize City. 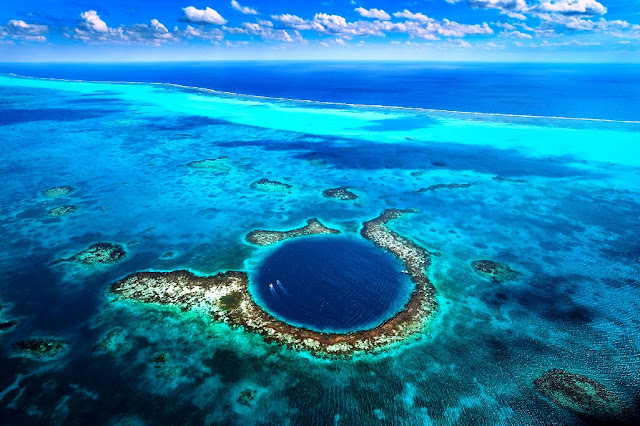 The Great Blue Hole is in circular shape, 300 meter across and 124 meter deep which is the most often cited depth up to this day. The name “The Great Blue Hole” was devised by British diver and author Ned Middleton in the book “Ten Years Underwater”. So, this name is so popular nowadays. In 2012 Discovery Channel ranked the “Great Blue Hole” as number one on its list of "The 10 Most Amazing Places on Earth". Many different fossils have been discovered that indicate the type of life forms that existed in Great Blue Holes. Other life forms such as marine life and marine fossils have also been noticed Crocodile and tortoise fossils have been found in blue holes. The Great Blue Hole formation took place more than 150,000 years ago, when it was formed during several episodes of quaternary glaciation when sea levels were much lower. However, with the passage of time, the sea level began to rise, the cave was flooded. 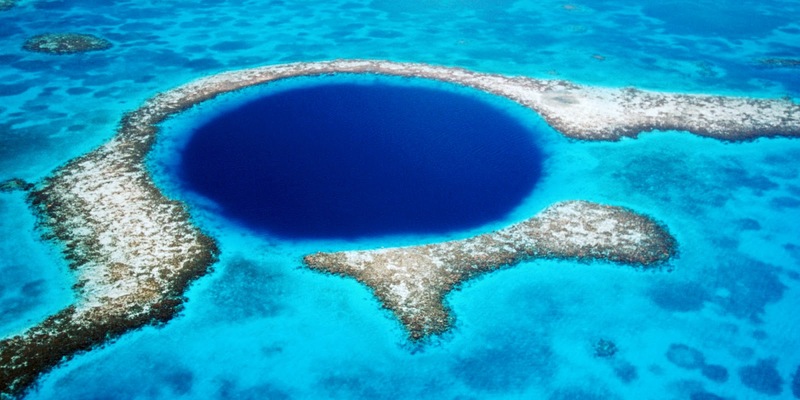 The Great Blue Hole is considering one of TOP 10 scuba diving place in the world. 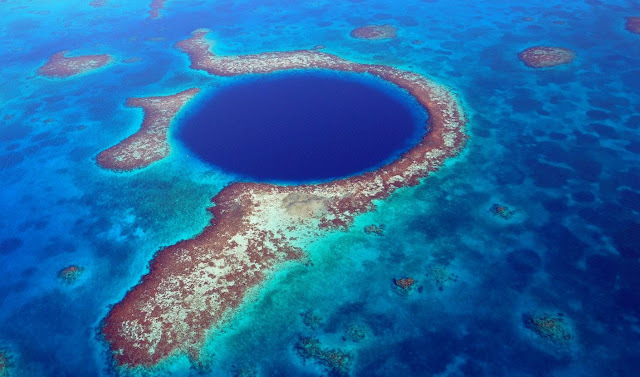 Moreover, The Great Blue Hole is a part of the larger Belize Barrier Reef Reserve System, a World Heritage Site of the United Nations Educational, Scientific and Cultural Organization (UNESCO). Normally a day trip to the Great Blue Hole is full-day trips from the coastal tourist communities in Belize. Stalactites were retrieved from submerged caves, off-vertical by 5˚ in a consistent orientation, signifying that there had also been some past geological shift and tilting of the underlying plateau.